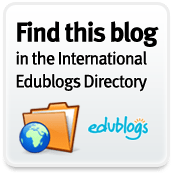 A blog worth adding to your bookmarks | Ici on parle français! 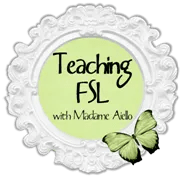 As I was doing some research on-line for activities to do with my grade 11/12 Combined Core French class, I stumbled upon a great blog called “France Bienvenue”. It is specifically made for FLE teachers and it his authentic recorded conversations that you can use in class with the transcripts all done for you! You would have to create the activities, because I don’t see anything like comprehension questions on the site. It’s great that there is a blog that has all this work done. I’m so happy I found it! It’s too late for me to use this year, but I’m looking forward to using it in the fall. You have to check out the page labeled “Les photos”. The pictures are breathtaking and they just make me want to go to Marseille and Cassis. I’ve also added it to my “Useful Links” page. Check it out! This entry was posted in Education, French, High School, Teaching, Uncategorized and tagged Core French, French culture, Grammar in context, Listening activities, Useful resources. Bookmark the permalink.